April 1st is an important deadline! Now that we've passed the March 15th filing deadline, we are moving fast toward the next big one: Monday, April 1st is our deadline for submitting information to file an extension for individuals, trusts, and December year end C-corporations (which all have a filing due date of April 15th). 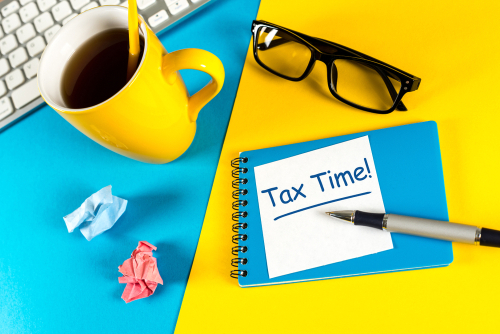 Remember, the 6-month extension for filing does NOT apply to paying tax due! Your federal and state payments of estimated taxes are due by April 15th to avoid penalties and interest. We still need all available tax information from you by April 1st so your Tax Manager can calculate your estimated tax liability, which takes time. Please fill out our Questionnaire (at minimum) and sign the Engagement Letter - both are annual requirements for individuals. We are requiring all businesses to sign a new corporate Engagement Letter this year. Individuals may sign documents using e-signature, but remember that married couples filing jointly must BOTH sign (you will receive separate emails). If both signatures are not successful, then the forms must be manually signed and returned to us. If you choose not to e-sign, please click the DECLINE option to keep from getting those automatic pesky reminders! If you are uploading documents to your portal through File Exchange, please label them with the current year and delete the old documents you uploaded for last year's filed returns.